Any system for encouraging people to get out of their cars and onto their bikes depends on the scope for doing so. The statistics for the UK show that the potential is huge. 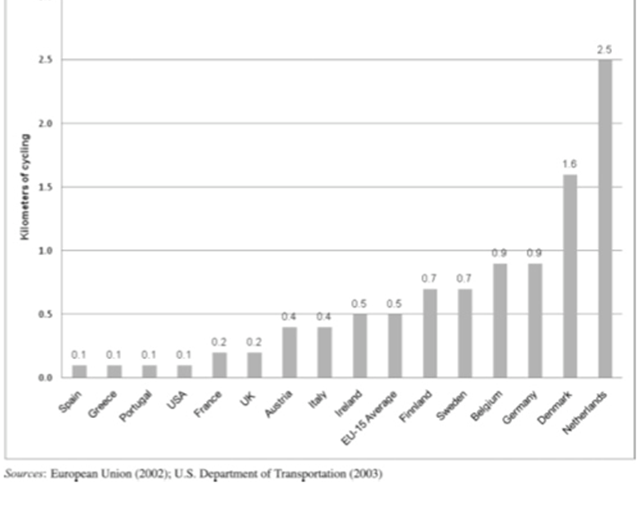 As the table below shows, 60% of trips of one to two miles are taken by car. This is a distance that is easily travelled by bike – and in some traffic conditions, a good bit more quickly than by car. Distances of two to five miles are easily cyclable too – 80% are taken by car. Trips of under five miles make up nearly 70% of all trips. These figures alone show how much more cycling we could be doing. Bike retail is in fact booming. Sales grew by more than 15% in 2010-11. Britons have being spending more on bikes, while spending on cars has fallen from £40bn to £35bn. There has been a bigger growth in expenditure on cycling than in growth in cycling distance. This means that people are buying more expensive bikes. Cycling is a diverse activity with participants from all socio-economic groups. London has seen the biggest boom with over 110% increase since 2000. Cycling rates are highest amongst young professional men. These figures indicate that people are increasingly receptive to the idea that cycling is a preferable way to travel. The same is indicated by the membership of British Cycling, which has risen to 33,000, an increase of 16 per cent in the past 12 months: the highest level of membership since the organisation formed in 1959. The highest rates of cycling occur in university towns such as Cambridge, Oxford and York, with rates of greater than 20%. In other cities, rates can be less than 0.5%, representing by contrast a huge potential for increase. Britain lags far behind countries with similar weather, population density and geography in the proportion of trips cycled. This too indicates the huge potential in the UK for raising the rate of cycle use. See also the comparison below. Even mountainous Austria has double the UK’s rate of cycling, and the average rate in Europe is more than double.